Bjørgebu Hytter and Caravan are located in one of the most beautiful mountain areas at the foot of Rondane National Park. From Sugarloaf mountain which is located three kilometers from the camping, you look directly into three national parks: Jotunheimen, Dovrefjell and the fairest of them all - Rondane. This place is ideal for backpackers who want to enjoy an exciting trip with a easy tent camping and nature. The tour starts early in the morning in July from Gujrat. We drive E6 until we get to Kvam which is 280 km, and less than four hours by car from Oslo. Our goal was Bjørgebu Hytter and Caravan, where unique nature experiences are waiting. The campground has a fantastic location, close to a lot of wonderful mountain scenery. Whether you like to go short or long walks in the mountains, fishing in mountain lakes, or perhaps in a small river, you have many opportunities in the vicinity. The large mountain tours we did not take this time, but a ride on a total of six km from Bjørgebu camping was fun. Up here, the reward is a breathtaking view where you can look directly into the three national parks which are: Jotunheimen, Dovrefjell and perhaps the most beautiful of them all, Rondane. 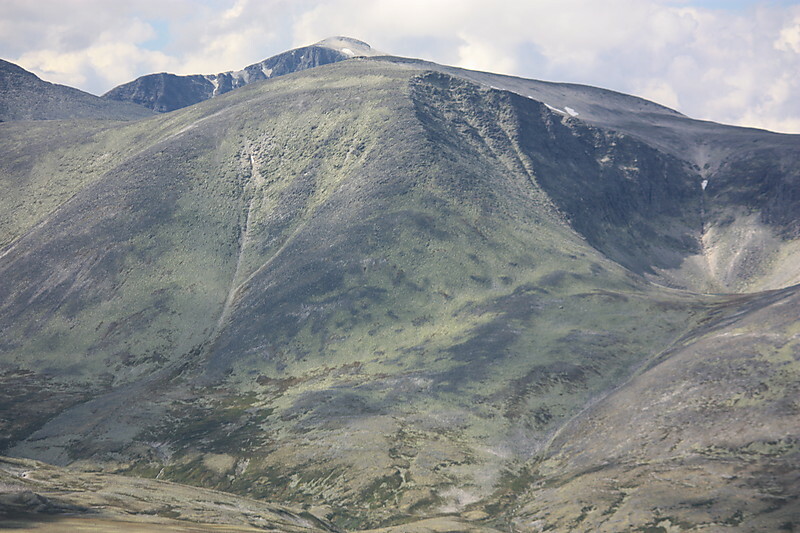 Rondane is a magnificent mountain range. It is centrally located and is an important walking area for large parts of southern Norway. It is divided into three marked mountain groups, all with peaks of over 2,000 meters. To the east lies Rondvasshøgde with Storronden and Rondslottet, the highest of all - 2178 meters above sea level. To the west lies Smiubelgen with the lofty Veslesmeden, Storsmeden and Trolltinden, bound together by narrow ribbons. Rondvatnet lies between these wild mountains. The third group, separated from Rondvasshøgde and Rondslottet of the deep Lang Ravenous Valley, is Høgronden, Midtronden and Digerronden, in the northeast. When people get tired of hiking, and summer is hot - then Orvillingen is a good place to go. The water is only five minutes away from the camp site and here are good opportunities to cool down after a long walk in the mountains. This is a wonderful swimming spot and one of the best trout lakes in the county. Bjørgebu has acquired a dock here, so in the summer, it is possible to rent a boat. If you would like to try your luck, you can buy a fishing license at the campsite. Within Orvillingen is a larger water, called Pine Lake. This is also a good fishing lake for trout and char. The area is also a paradise for those who like to ride leisurely walks in the woods and mountains. It is only you who sets the limits to the level of activity here on Bjørgebu, because there are so many possibilities. If you want to ride, for example, arranges Sulseter Rideleir riding tours from Sødorp mountain and over Peer Gynt road and into the area where the camp is located. There are also horseback rides into Rondane. When we got up in July last year, it was a pitiful sight. The main building burned to the ground in June. Bjørgebu were refurbished in winter 2013, at Easter time they opened a new eatery called Bjørgebu Aromateri. The diner is well attended by both mountain people and rural people in Kvam, and is a positive contribution to the industry in the mountains. The main building will be rebuilt and is scheduled for completion in autumn 2014. In this building, they will continue operations as it was earlier, with a pleasant coffee facilities, where they will be selling hot dishes, cold food and staple foods. There will be big, as before, where they will display both ski races and football matches. There will be also all serving rights. If you have an exhausting day in the mountains and want to enjoy the tranquility, you can order hot food and have it delivered in the camper or caravan. In the basement of this main building, there is also a brand new and nice piping. Besides summer and autumn, winter also offers an incredible number of activities. In winter, it is also possible to be part of snowshoeing, with barbecues and cuddle afterward. Pine Lake is known for good fishing for char in winter. So if you are fond of ice fishing, hike up to Bjørgebu.